Black Desert Online looks to be one of the most promising MMORPGs, and the recent $10 sale pushed a heavy new wave of players into the game's North American servers. Of course, one of the first questions a new player asks is, "How do I level most efficiently?" To that, I give the following advice: I don't recommend you "power level" up until level 40. The early stages of the game are worth playing through. You learn and experience things that are going to make the rest of the journey—where you actually need to grind—a lot easier. Explore, quest, and find things that you like to do. 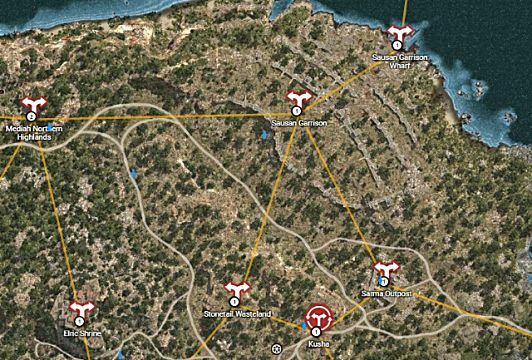 If you play for a several hours per day, you could find yourself up to level 40 in around a week. That's where the grind, and this guide, begins! 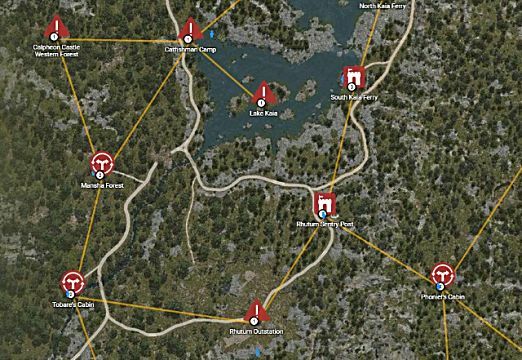 Here are the most efficient areas to grind from levels 40–60 in Black Desert Online. Many guides will advise that you grind levels 40–45 at Oze Pass, but don't. The density of mobs, difficulty, and EXP rate is all considerably worse than here at Marni Cave Path.If there's a group already at MCP (which is unlikely), I'd suggest switching channels. Oze Pass is not worth the loss in efficiency. 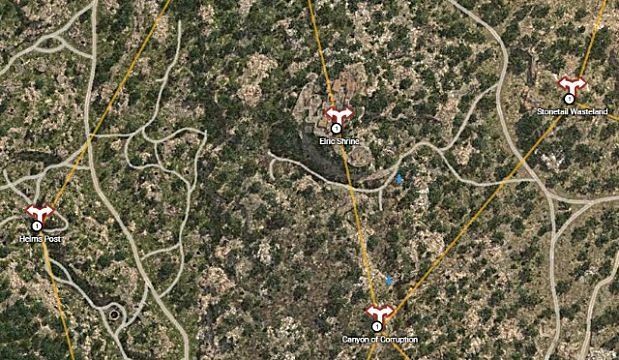 Click on the map above to be taken to an interactive map of the area. You're going to be wanting to kill Chimeras here—both normal Chimeras and Horned Chimeras. You want to rotate from the large packs in the ravine, to the hill, and then back to the ravine again. Have your pets out if you have any, because the drops here are also far better than what you'll find at Oze Pass. Chimeras will drop Talis and Bares accessories for you to use or sell on the marketplace. Starting at level 45, you'll move to one of the parts of the game that you'll find yourself revisiting the most. Mansha Forest is north of Trent, and the biggest perk of this area is the incredible mob density and option to double-dip into the daily Contribution Point quests. These quests are only available past 47. On the pathway just south of the three-way intersection near Mansha Forest, you'll find four daily quests. Two of them are for Rhutums and the other two are for Manshas. Get the ones for Manshas. It's an easy way to get 400 CP EXP while you're grinding. You may not care about CP now, but you will in the future. You'll specifically want to be targeting Mansha Warriors and Mansha Spearmen here, but the density will make it pretty hard not to aggro others. 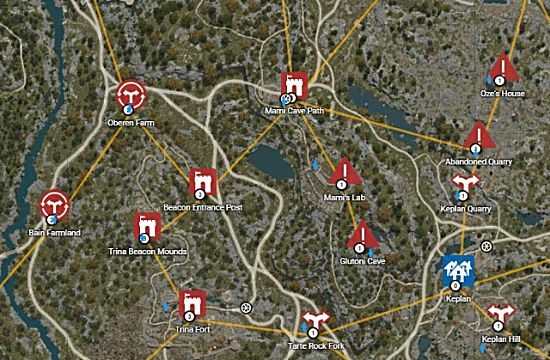 Catfishman Camp is one of the best spots in the game to grind for both experience and silver at this level. 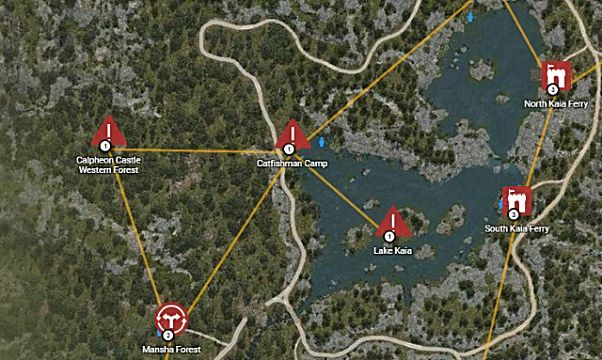 Catfishman Camp is very close to Mansha Forest, directly northeast. Be sure to be looting as you kill the Catfishmen, because they drop both types of Black Stones at a respectable rate. You'll probably want to avoid wasting your time on Fat Catfishman here, but the rest of the mobs are pretty efficient: Catfishman, Catfishman Light Warrior, Catfishman Fish Hunter, etc. Find yourself a nice rotation skirting around the coastline. There is a dense number of Catfishmen deeper towards Lake Kaia, but falling into the deep water—where you're unable to attack—is very frustrating. Don't go too far out. Far east of Velia is Elric Temple, and it'll be your first adventure into Mediah. This is where the game begins to get tough. You can either go into the shrine itself or grind on the mountains just south of it. You'll find the same mobs at either location. They spawn more densely on the mountain, but there's more mobs overall inside of the shrine. If you choose to farm them inside of the shrine, be sure not to pull too many at once. The shrine has narrow doors and you can find yourself in a crowded area. Everything here is melee except the Elric Priests, and aggroing too many of those can do a lot of damage. You're going to start feeling the grind past level 54. It's going to slow down, but have discipline and stay. There isn't a more efficient place to be farming for EXP at this level. Sausan Garrison is northeast from Elric Shrine, and about as northeast as you can get in Mediah. It isn't hard to find, but it is hard to grind. You're going to have to come here with a party. It's inefficient to try and solo Sausans at these levels. You're probably going to get bullied around on weekends. Huge guilds farm here and it's always packed for the EXP bonus. They will kill you repeatedly. The grind is going to be incredibly slow after level 56, because that's the game's current soft cap. The rotation at Sausan Garrison is pretty self-explanatory. You'll find yourself circling and looping through the same route as mobs respawn on cooldown (if you're doing it efficiently). The money here is great too, both in turn-ins—at Sausan Garrison and Sarma Outpost—and item drops. You might want to bring a wagon, because the nearest town is quite far away. You'll be here for a long time. All of the Sausan mobs here are fair game. Let me start by saying that I personally don't even recommend you grind past this point. Beating your head against the game's soft level cap is going to drive you nuts compared to the advantages you get per level. 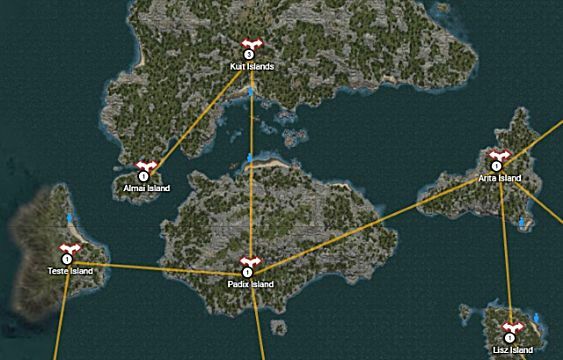 However, should you choose to ignore that advice then the Pirates around Kuit Islands are by far the best EXP you're going to find. You have to travel here by boat. Even coming to Pirates is an investment that probably means you should be staying for days. Pirates hit hard and the nearest place to buy potions is a long way away. It is dominated by groups and guilds even harder than Sausan Garrison. You will constantly have your rotation contested by the most geared players in the game. Kill every Pirate mob you see. Always have your pets out. This is the best endgame loot and EXP. Good luck. That concludes this guide, and major props to you if you do manage to make it to level 60. The soft cap is very hard to push past, but many have done it. Always remember, there's more to do in Black Desert Online than just grind.